If you've ever made the pilgrimage to visit the spiritual home of video games in Japan, then you've doubtless encountered Taiko no Tatsujin. A rhythm action series that feels like it's been around forever, Taiko no Tatsujin is one of those quintessentially Japanese properties that's adored by fans of the country's culture. And it's not hard to see why if you play Tatsujin Drum 'n' Fun for more than just a few minutes. So bright and flashy that it should come with a pair of sunglasses, Drum 'n' Fun is an intoxicatingly cheery rhythm action game that challenges players to drum along to a selection of over 70 songs. If you were playing in the arcades, you'd need to hit the main drum in time with the red notes, and the side of the drum when the blue notes appear. There are a few additional flourishes that can boost your score, but it's all pretty straightforward. The Nintendo Switch version, on the other hand, gives players three ways to bang the drum - four if you include the official Taiko no Tatsujin drum controller - although each control scheme has its drawbacks. You can play using motion controls, swinging the Joy-Cons downwards for a regular drum beat and at an angle to represent hitting the side of the drum. Unfortunately, this presents two problems. Not only does it lack the satisfying feedback of banging an actual drum, but the game has a hard time registering which way you're swinging. It's especially problematic when you progress to harder songs on higher difficulty levels, where the notes come thick and fast. Using the buttons on a controller is far more accurate, but arguably even less satisfying than swinging your arms. Drumming along on the touchscreen is where I really fell in love with the game, as you tap your fingers on the big drum in the centre of the screen. The position of the drum could maybe do with shifting over a few centimetres to make it a bit more comfortable, but touchscreen controls strike the best balance between satisfaction and reliability. Once you've settled on a control scheme there's an awful lot to like about Drum 'n' Fun, which definitely lives up to its name. From Nintendo video game themes to punchy J-Pop tunes, classical numbers and even one or two anime classics, the soundtrack has more gems than a game of Bejeweled. A focused single-player campaign would have been nice, but Drum 'n' Fun makes up for it with a surprisingly brilliant party mode that's so bizarre you'll think you've taken something you shouldn't have. 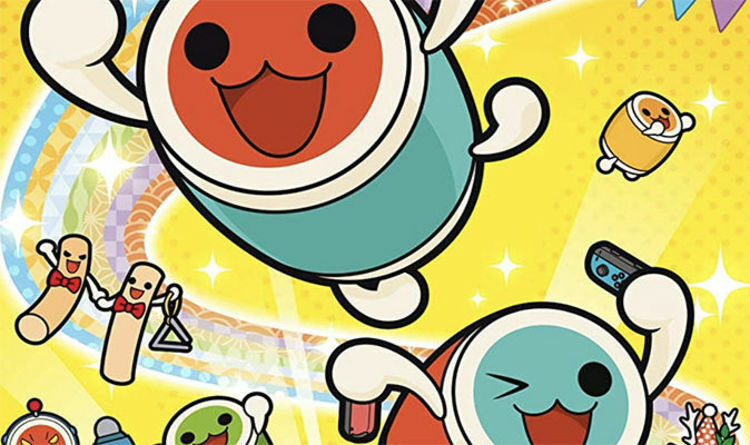 A glittering game with bags of personality and a real sense of playfulness, Taiko no Tatsujin Drum 'n' Fun is a sensational rhythm action game that's a delight on Switch... provided you pick the right control scheme.